4Greta Van Susteren has been named one of Forbes' 100 Most Powerful Women in the World six times. She was formerly an anchor on MSNBC, CNN, and Fox News and lives in Washington, DC. 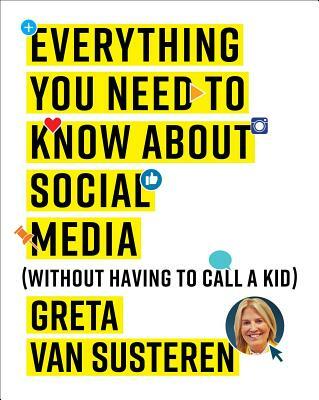 The most practical, thorough, and reader-friendly guide around to living well on social media. From answering basic questions like "What's the best site for you?" to "How to Tweet" and "What does it mean to 'Tag' someone?" to addressing important moral and behavioral issues like how to protect your privacy, how to avoid being roasted online, and whether it's okay to get your news from Facebook, this is the essential handbook for anyone who wants to stay up to date with today's changing technology.